Windows 10 October 2018 Update has been available to the public for less than two days and the complaints have started to drop in. Yesterday, we reported that Microsoft and Intel had published an advisory explaining that the October 2018 Update could result in excessive processor demand and reduced battery life, pushing Microsoft to block the update for a few devices. It now appears that the latest Windows 10 version is also deleting user files during the upgrade process. 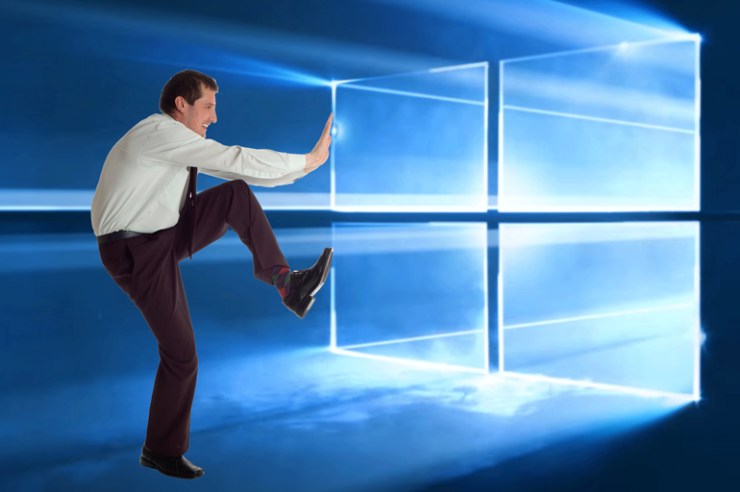 Windows 10 feature updates rarely bring smooth upgrade experience and are almost always plagued with problems. However, this year Microsoft pushed it out a little too soon without having it pass through the Release Preview ring Insiders. According to reports, several users have experienced their personal files mysteriously disappearing after the update process. Folks at WindowsCentral report that not many users have reported the exact method they used to install Windows 10 October 2018 Update, which could potentially help detect the issue. It also remains unclear if the problem affects the overall upgrade mechanism, in which case it wouldn’t matter if you are updating through Windows Update, Update Assistant, or the Media Creation tools. We have written to Microsoft to clarify what is happening but in the meantime, it is highly recommended to create a complete backup of your machine before proceeding to install Windows 10 October 2018 Update. To do that, head over to Control Panel > System and Security > Backup and Restore. In an emailed statement to Wccftech, a Microsoft spokesperson said that the company is “aware of these reports” and that it is “actively investigating.” No other information has been provided at the moment. We will update this space as we hear more about this issue and possible workarounds.